It’s free. No credit card required. 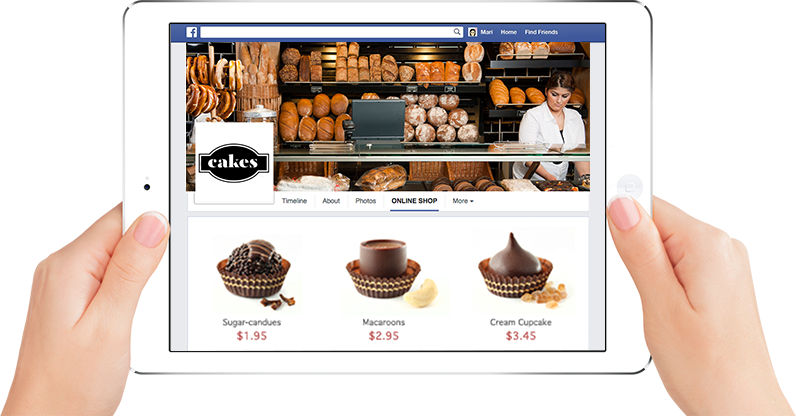 Start your FREE Facebook storefront and see what else Ecwid has in store for you! Ecwid is the #1 e-commerce app on Facebook with over 40,000 stores. 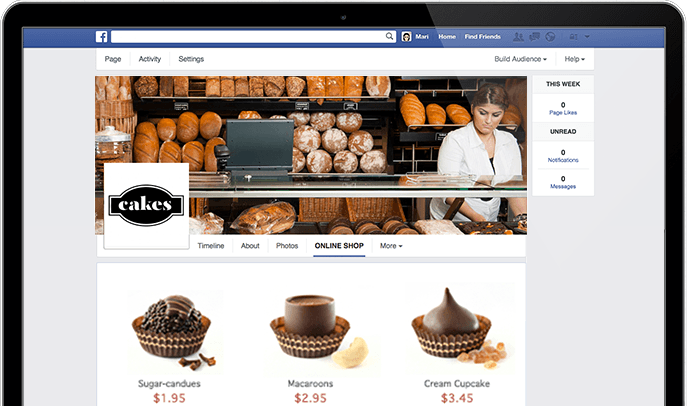 On average, merchants with synchronized stores receive 15% of their sales from Facebook. Sell simultaneously on websites, mobile sites, social networks and marketplaces like Google Shopping, eBay and Amazon. The Ecwid app resides on your Facebook page so your customers can shop and pay without leaving. Stores in 175 countries, over 50 languages, over 40 international payment options and real-time shipping integrations globally. The average Ecwid merchant with synchronized stores receives 15% of their sales from Facebook. Along with Ecwid, Payvment was an early pioneer in Facebook ecommerce — otherwise known as F-Commerce. While Payvment didn’t survive as a company the idea of selling on Facebook lives one as Payvment helped transition their customers to Ecwid in 2013. Over one billion people are active on Facebook and many businesses have active business pages where they can also sell their products. Ecwid provides a free full featured ecommerce solution for Facebook that is synchronized with multiple storefronts on any CMS such as WordPress, Wix, or Weebly. Using an omni-channel solution allows Ecwid merchants to find where their products sell best — online, marketplaces, mobile apps, social sites or in person.